We were delighted to host a booth at the National Communication Association 2018 Annual Convention! 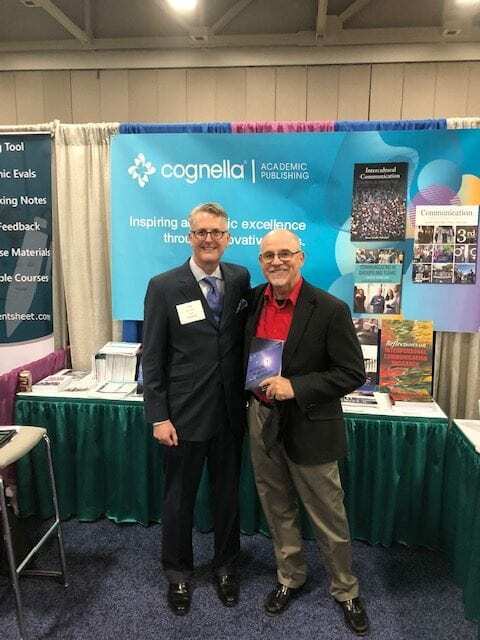 It was great to meet new instructors and professionals in the discipline, showcase our titles, and of course, it’s always a treat to see our authors in person. 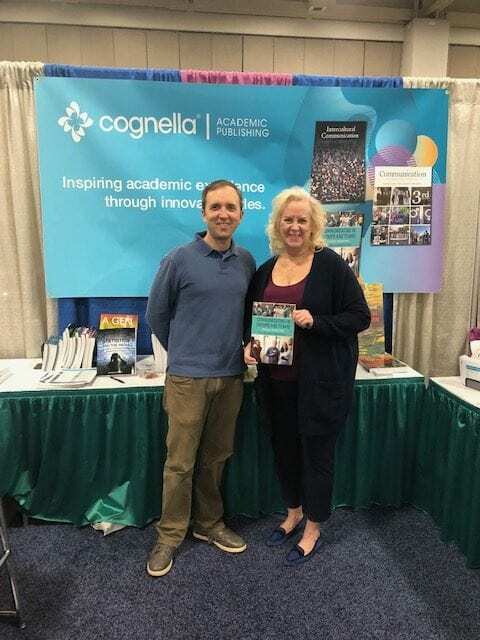 Check out our photos from the conference below, as well as our NCA 2018 Catalog, featuring current and upcoming Communication titles from Cognella. 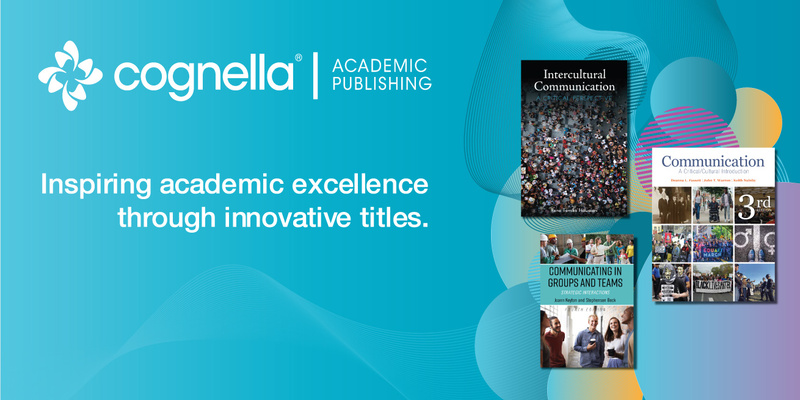 If you’re interested in adopting a title or talking to our acquisitions editor about publishing a book with Cognella, fill out our form, and we will be in contact with you as soon as possible. 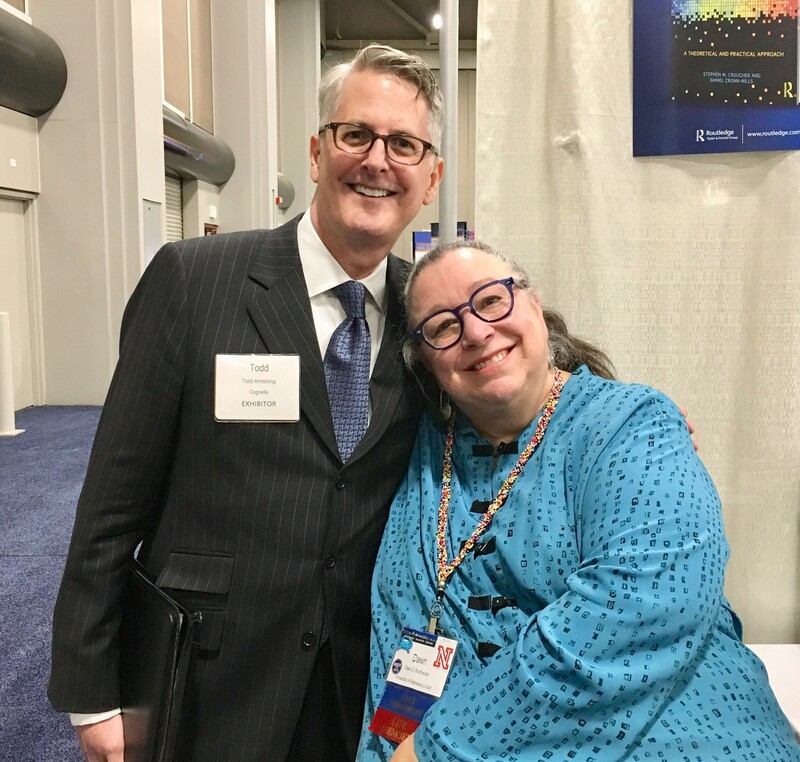 (From left) Todd Armstrong, Cognella Specialist Acquisitions Editor, catches up with Dawn Braithwaite, past president of NCA, past president of WSCA, and the Willa Cather Professor and Chair of the Department of Communication Studies at the University of Nebraska-Lincoln. (From left) Stephenson Beck, coauthor of Communicating in Groups and Teams: Strategic Interactions, and Todd Armstrong. 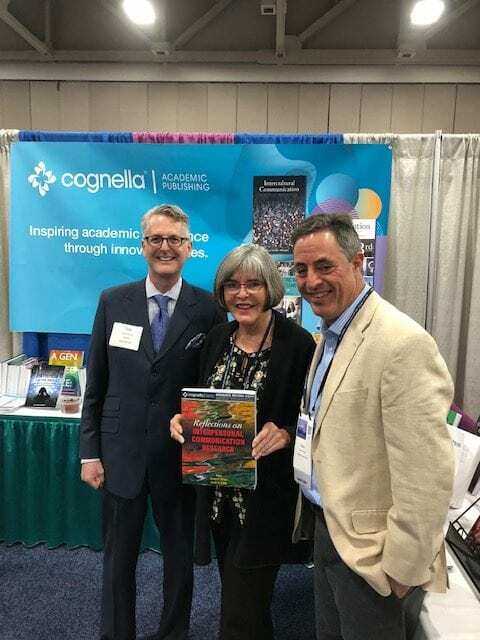 (From left) Todd Armstrong and Sandi W. Smith and Steven R. Wilson, editors of Reflections on Interpersonal Communication Research. 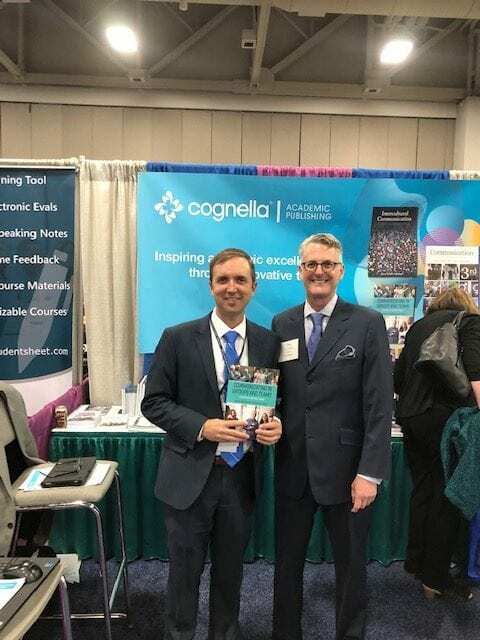 (From left) Todd Armstrong and Vincent R. Waldron, coauthor of Negotiating Workplace Relationships. 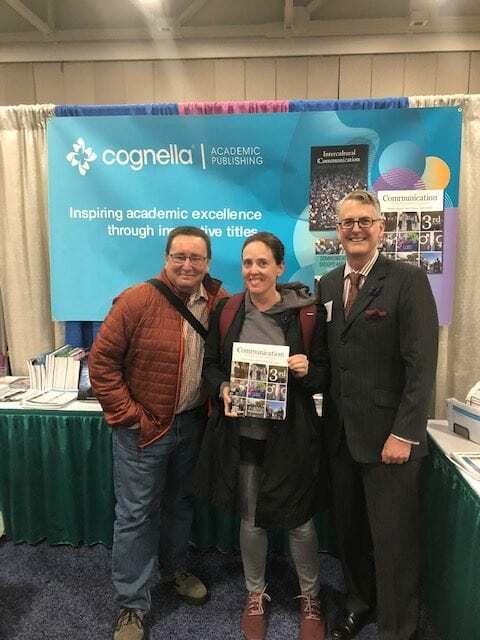 (From left) Keith Nainby and Deanna L. Fassett, coauthors of Communication: A Critical/Cultural Introduction, and Todd Armstrong. (From left) Stephenson Beck and Joann Keyton, coauthors of Communicating in Groups and Teams: Strategic Interactions. 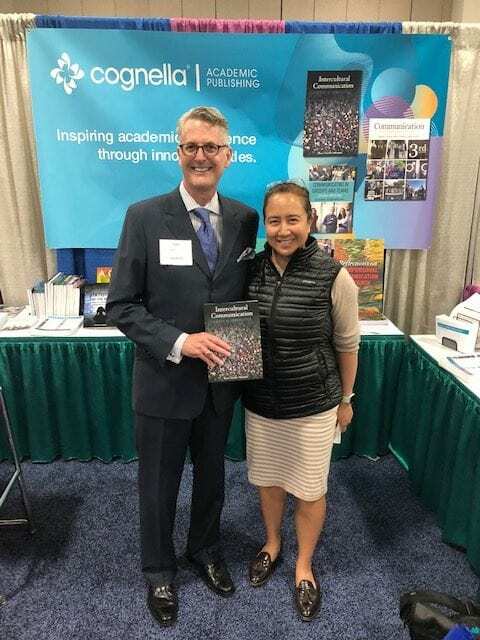 (From left) Todd Armstrong and Rona Tamiko Halualani, author of Intercultural Communication: A Critical Perspective. 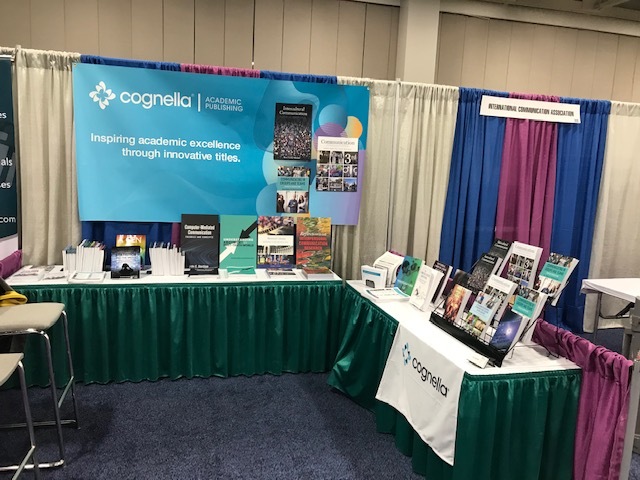 Select Communication textbooks on display at the Cognella booth.